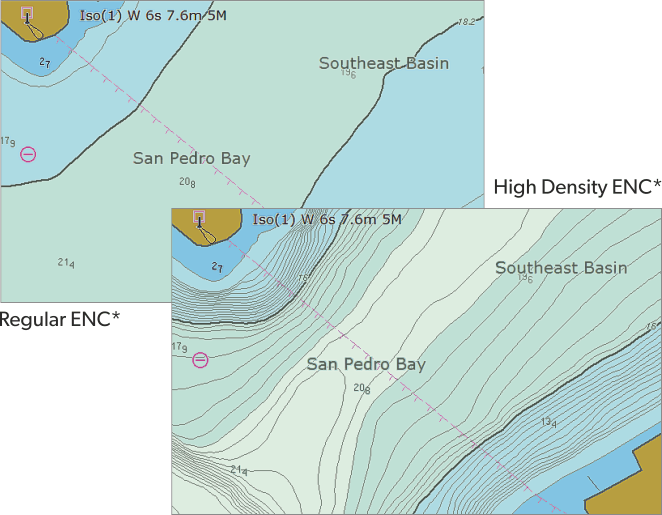 The ENC Bathymetry Plotter is used to create contour lines and selected soundings for incorporation into ENCs or other digital hydrographic chart products. Point Cloud or Gridded bathymetry data that serve as input is processed and transformed into a so called Nautical Elevation Model. A Nautical Elevation Model is shoal-biased smoothed-out underwater terrain model. The result of the Nautical Elevation Model creation process can be imagined as draping a sheet over a rough and bumpy surface to make it appear much smoother. The degree of generalization can be defined by the user to suit the targeted scale of the final chart product. In the above analogy increasing the generalization factor means strengthening the tension of the draped sheet. The contouring process is applied to the Nautical Elevation Model (not to the source data). Users have to set a few parameters (e.g. contour levels) only. The resulting contour lines have a smooth appearance and do not require any further generalization. Moreover ENC Bathymetry Plotter supports the creation of selected soundings at a configurable density. 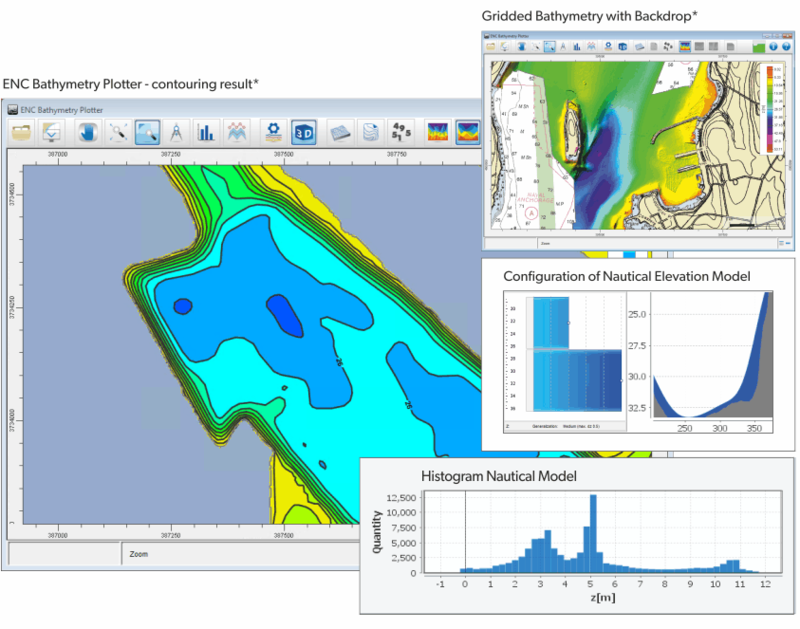 ENC Bathymetry Plotter closes a large gap in the chart production workflow. It assists the producer of nautical charts in contour generation and sounding selection and helps to drastically reduce the manual work. The resulting contours and selected soundings are easily copied into your S-57 data with ENC Designer or other chart production software capable to handle S-57 data.